This is Mumei from the anime Kabaneri of the Iron Fortress. 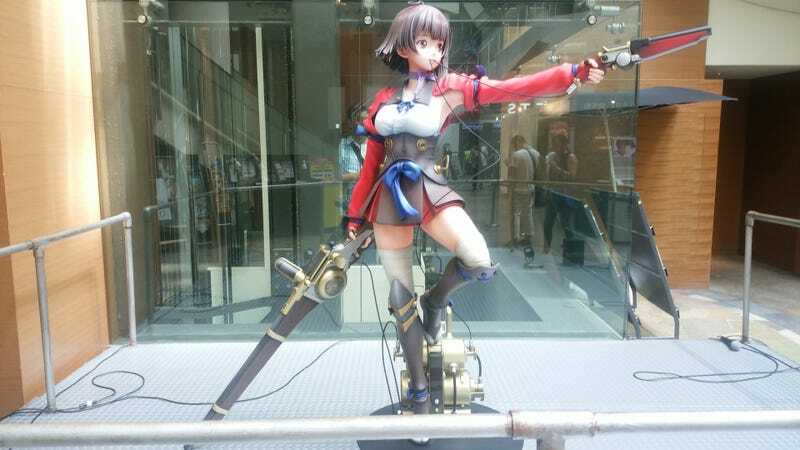 Okay, it’s not actually Mumei, but a life-sized statue. An extremely expensive one, at that. Measuring around 5.5 feet tall and weighing a whopping 103.6 pounds, the statue is priced at 2,500,000 yen (US$24,988). Only ten of these will be produced, and those in Japan interested in purchasing must enter into a raffle for a chance to buy. Good luck to those willing to spend 25 grand!